Most of us enjoy a drink from time to time, especially when we’re celebrating birthdays, weddings, new year’s eve…the list goes on. As you soon realise, one drink turns into plenty more by the end of the night! The Department of Health are always on the lookout for new ways to educate the public on how to live a healthy lifestyle and moderate their intake of alcohol. The latest marketing tool used by the governing body is a smartphone app – Change4Life Drinks Tracker. The app is simple to use and includes tips on cutting down alcohol for both health and financial reasons. The main feature of the app is the tracker which allows you to enter your age, gender and the amount of drinks you have consumed within the past week. 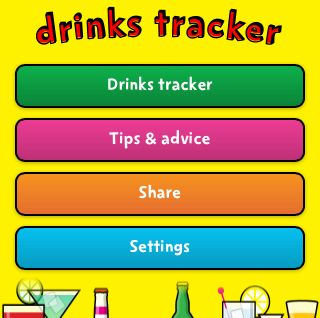 Creating the app has become part of a wider marketing campaign to help educate the public on the risks of alcohol. The campaign came to light after a YouGov survey in 2011 which found 85% of people did not realise drinking above the recommended guidelines increases – the risk of developing breast cancer; 66% the risk of bowel cancer; 59% the risk of mouth, throat and neck cancer and 30% the risk of high blood pressure. The question is – can the app help educate and cut the public’s weekly alcohol intake? Let us know your thoughts below!